Dr. Beriashvili is a member of the International Forensic Experts Group of the International Rehabilitation Council for Torture Victims (IRCT) and is the secretary general of the Georgian Forensic Medical Association. She is also a member of the Forensic Science Society in the UK, a member of the DNA Working Group of the European Network of Forensic Science Institutes, a member of the European Society of Human Genetics (ESHG), a member of the International Academy of Legal Medicine (IALM), and a member of the International Association of Coroners and Medical Examiners (IAC&ME). 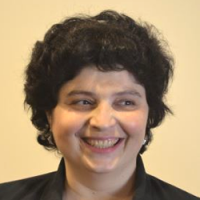 Dr. Beriashvili graduated from Tbilisi State Medical University (TSMU), receiving her PhD in Forensic Medicine in 2003, and in that year became an Associate Professor of Forensic Medicine at TSMU. She has worked in the field of forensic medicine since 1996. From 2009 to 2011 she was the head of forensic biology and the head of forensic medicine at the National Forensics Bureau of Georgia.